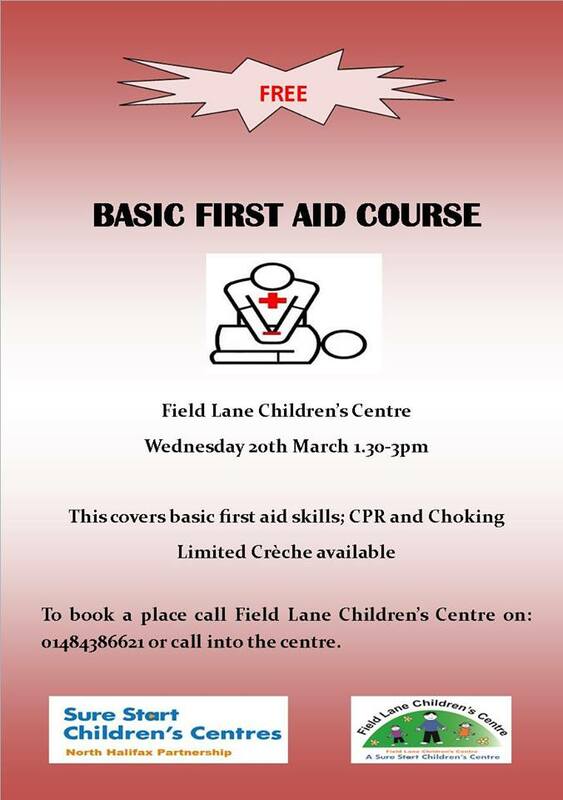 Field Lane Children’s Centre will be holding a FREE First Aid Course on Wednesday 20 March, 1:00pm-3:00pm. The course will cover basic first aid, CPR, choking and more. There will be a limited creche available. To book your place call 01484 386621 or call into the centre. This entry was posted in Brighouse, Events, Health, Mar, Rastrick, Sure Start and tagged Field Lane Children’s Centre, NHP Sure Start Children's Centres.